To provide Vets with PTSD a controlled, personable venue to see their favorite bands without the worry of large crowds, unexpected noises or the stress of a large venue! We’re passionate about music and we believe those that fought for our freedom, our freedom to enjoy concerts, should have the same chance to see their favorite bands. We recognize that Vets with PTSD can’t go to concerts at big venues due to the large crowds and the stress. From their experiences working with Vets, the founders of 10th Mountain Whiskey and Spirit Company, Ryan Thompson and Christian Avignon, recognized the need to provide controlled venues for Vets with PTSD to see their favorite bands. They believe music is a great healing opportunity and everyone should have the chance to see their favorite band live, especially Vets that fought for our freedom. We’re creating a nationwide database of Vets with PTSD, along with their top 3 favorite bands and their favorite genres of music. 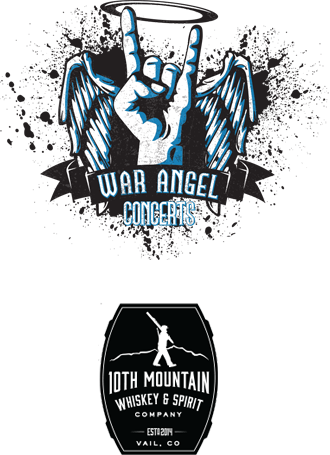 We’re creating a database of War Angel Concert certified venues that understand the reasons why along with the logistics and challenges that come with hosting a War Angel Concert. We’re creating a database of musicians and bands that understand the need for holding concerts at a controlled venue and that have the passion to play in front of a small group of our nations heroes. We’re creating a donation platform where inspired people want to give America’s heroes the chance to see and enjoy their favorite band play live. We’re managing all four databases to combine the Vets, the bands and the venues to create incredible, personable concerts that Vets with PTSD would otherwise not be able to see! 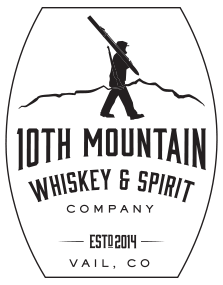 The team at 10th Mountain Whiskey and Spirit Company manages the day to day logistics. 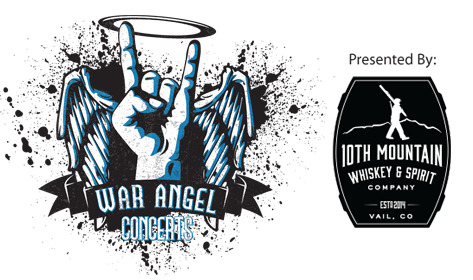 We count on our War Angel certified venues to donate the evening to the concert. We count on the band to donate their time out of appreciation for their audience. We count on in-kind donations to help with the ongoing financial challenges the organization faces. We also auction off 5 pair of premium tickets to the general public to help finance the concerts. For each concert a list of Vets passionate about the performing band or genre of music will be created. From this list, 50 Vets will be randomly chosen (along with a ‘plus one’) to attend the concert. Additionally, 5 pair of premium tickets will be sold to the public. If you’re interested in volunteering at a show, please apply here. Concerts will be held throughout the year. We’ll keep an updated schedule on our concert calendar. Vets with PTSD must be signed up and in our database to have the opportunity to see a concert. Concerts will be held at certified War Angel Concert venues across the country. If you’re a Vet that is in our database but can’t make the show, we’ll email a link where you can log in and watch the concert live, online. The founders of 10th Mountain Whiskey and Spirit Company have met many incredible active soldiers and Vets through their time spent at events, at the distillery and their tasting rooms. They love meeting them, sharing a little whiskey and swapping stories. Ryan, a passionate concert goer, went to the show and while watching it couldn’t get it out of his mind that there had to be a way for Weston to see the band. After thinking about how he could make this happen, the idea for War Angel Concerts developed. Ryan ran the idea by Weston and was encouraged to move forward with it. The idea started out with just one show, but then quickly grew to multiple shows throughout the year at multiple venues around the country! Hence, the birth of War Angel Concerts, providing a controlled venue for Vets with PTSD to see their favorite bands. Do you love concerts? Are you passionate about seeing your favorite bands live? Do you realize some of our American heroes can’t see their favorite bands at certain venues because their diagnosis with PTSD keeps them away? Due to their success, some of these bands no longer play smaller venues, venues that would allow Vets with PTSD to see them? With your help, we’re changing that! We’re providing a controlled, intimate venue for Vets to see their favorite band! Additionally, we auction off 5 pair of premium tickets to the general public to help pay for the concerts. Keep an eye on our concert calender (link) to see when your favorite band plays and to have a once in a lifetime chance to see them in an incredible setting. If you’re inspired to help Vets with PTSD see their favorite band you can donate here. Enter any qty you desire to donate. Thanks for your interest in volunteering for a War Angel Concert! It takes a team to put these on. We couldn’t do it without our volunteers. Although we don’t have many volunteers per show, we always need a few. Please fill out the information below. When we have a concert in your area, we’ll reach out to see if you’re available to help. We can’t hold War Angel Concerts without bands willing to play the shows! You’re an integral part of this that the Vets will never forget. The goal of War Angel Concerts is to provide a night the Vets will never forget. These are Vets that have missed your shows at the big venues due to the stresses involved. These are the Vets that have fought for everyone else to have the freedom to see your shows. These are the Vets that are super fans, but are now restricted to what they can and can’t do. We’re bridging that gap and providing them the opportunity to see their favorite band! As a band or musician, your passion and willingness to play in front of such a special audience speaks volumes. We want to make sure the world knows of your generosity and will do all that we can to share it with everyone. With that said, you control the night. You control when the concert starts, how many songs you want to play, your set list, the publicity, the opportunity to meet the Vets or not, pictures or no pictures, you name it. We are passionate and excited to provide the opportunity for you to see your favorite bands in a setting that is comfortable and stress free. In order to do so, we’ve created a database of Vets, along with their top 3 favorite bands and genres of music. To have the opportunity to see your favorite band, please fill out the application below. As much as we’d love to bring this opportunity to every Vet that has ever served, we have to reserve this special opportunity to Vets with PTSD that can’t see a concert at a big venue due to the stresses involved. After consultation with Vets, we’ve placed a PTSD disability level of 20% in order to qualify to see a concert. We ask that you submit documentation confirming this. It will be held safely and will never be shared with anyone. It is for internal use only. Once signed up, we’ll keep you posted with concerts from your top 3 bands and genres of music. Some will be near you, others you might have to travel to see. As a concert approaches, we’ll narrow the database down, first to those that named the band in their top 3, then to the Vets that like that genre of music. We’ll randomly choose 50 Vets (and their ‘plus one’) to see the concert. All Vets in the database will have the opportunity to log in to a live feed and watch the concert from their computer or smart device. War Angel Concerts are for Vets with severe PTSD that keeps them from attending shows with the general public. Therefore, we have to qualify each individual Vet with a statement from their doctor. We'll need this statement before the Vet can be eligible to attend concerts. We will not share these records with any third party. Thanks for your understanding. We can’t hold War Angel Concerts without the venues willing to host the shows! The venues are an integral part of making the concerts happen. It’s a special night for the Vets and we want to provide a special setting for them. The venue will get great publicity for being a War Angel Concert approved space and will have the satisfaction of giving 50 American heroes, per concert, the opportunity to see their favorite band. In return, we ask that you donate the space for the show. It’s up to you how many shows per year you host. However, in order to keep your War Angel Concert status, we ask that you host at least 2 shows per year. Not all qualities are necessary to apply.